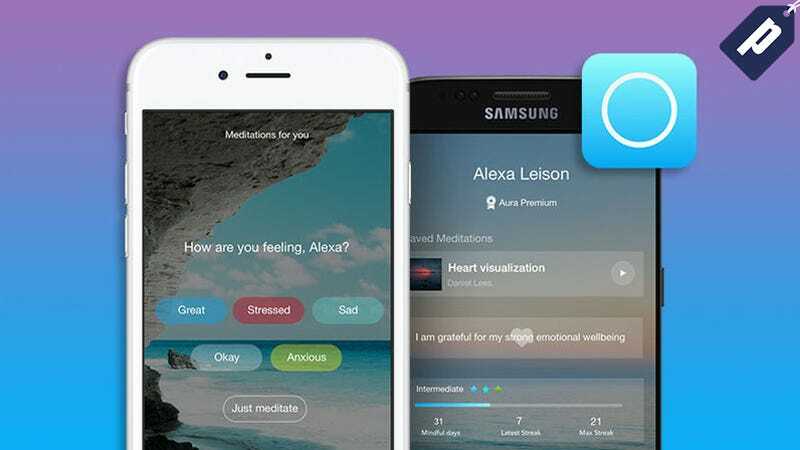 Mindfulness and meditation apps have surged in popularity, but Aura is the only one that uses machine learning to tailor to your specific needs, and has brief meditations to fit with your schedule and comfort level. Their premium subscription normally runs for $100 / year, but right now you can get a lifetime for $60, 2 years for $50, or 1 year for $30. You don’t need to dedicate much time - choose from 3, 7, or 10-minute meditation durations, and access them whenever you want. Aura tailors content to your specific needs using machine learning. The more you use it, the better it gets at surfacing the best meditations for you. Track your mood patterns over time and visually see yourself improve. Save unlimited meditations to listen whenever you want. If you’re interested in how Aura Premium can help you relieve stress and anxiety and improve mindfulness, learn more at the link below. You can get a lifetime subscription for $60, 2 years for $50, or 1 year for $30.